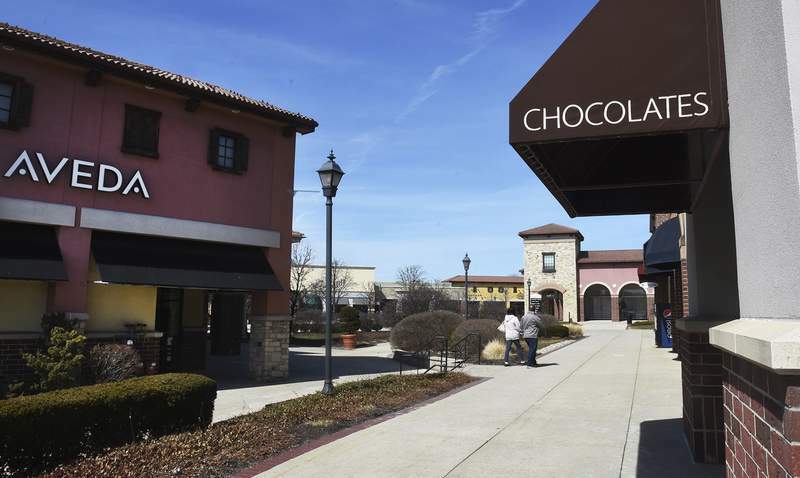 Fort Wayne's Jefferson Pointe shopping center has a new owner – the company that developed it. The center, known as an upscale shopping destination, changed hands March 5, according to a news release issued Monday by the real estate brokerage that arranged the sale. The new owner is Jefferson Pointe SPE LLC, which lists an address in Phoenix. That address is also the address of RED Development, which develops and manages high-end shopping destinations. Mike Kallner, RED's executive vice president for leasing, confirmed that Jefferson Pointe SPE LLC is a legal entity that includes RED's stake in group ownership of the property. Kallner and officials of the real estate brokerage declined to disclose a price. But he said RED plans to address a number of store vacancies. The current vacancy rate for Jefferson Pointe is around 20 percent, he said. The seller of the property was Institutional Mall Investors LLC, which describes itself online as a co-investment venture owned by an unnamed affiliate of Miller Capital Advisory Inc. of Skokie, Illinois, and CalPERS, the nation's largest public pension fund. IMI invests in “market-dominant, fashion-oriented retail property,” including regional and super-regional shopping and lifestyle centers, its website says. Company officials did not return a call Monday seeking comment on the sale. Kallner said RED would look for new tenants similar to those now at Jefferson Pointe, with a focus on women's apparel, food and entertainment. “I can't tell you all our secrets, but we're going to look to add a few great new nationals and great local and regional restaurants,” he said. Retail establishments have faced hard times in recent years. News reports say U.S. mall investors have lost billions of dollars as their brick-and-mortar stores lose volume to online shopping. Mall stores often have deep-discounted merchandise to compete, and one report at Reuters.com has predicted about half the nation's 1,100 malls will go out of business in the next decade. However, rents remain strong at upscale centers, according to the same Reuters article. Kallner said his company believes it can find new tenants for Jefferson Pointe. More than 29,800 residents earning an average annual household income of $86,154 live within the property's ZIP code, according to Holliday Fenolglio Fowler LP, the brokerage firm that handled the Jefferson Pointe sale. The site sees an average daily traffic count of 62,860 vehicles, according to the brokerage. “Of course we want (Jefferson Pointe) to be 100 percent full, and we expect it will be,” Kallner said, adding his company at other properties has worked with trendy retailers including lululemon, Apple and Altar'd State. He said he anticipates popular Jefferson Pointe features, including Friday Nites Live music in the summertime, will remain. Kallner added the company soon will seek government approvals for upgrades. Any construction should start this summer, he said. RED owns and/or manages 12 million square feet of retail space, with the upscale SummitWoods Crossing in Kansas City, Missouri, and Village Pointe in Omaha, Nebraska, among its more than three dozen retail properties. Most are in the West, Southwest and Midwest. Jefferson Pointe was completed in 2000. Tenants include Carmike Cinemas, Bed Bath & Beyond, Barnes & Noble, Marshalls, Ulta Beauty, Old Navy, White House Black Market, Vera Bradley, Michaels and Tucanos Brazilian Grill. The Von Maur department store is separately owned.